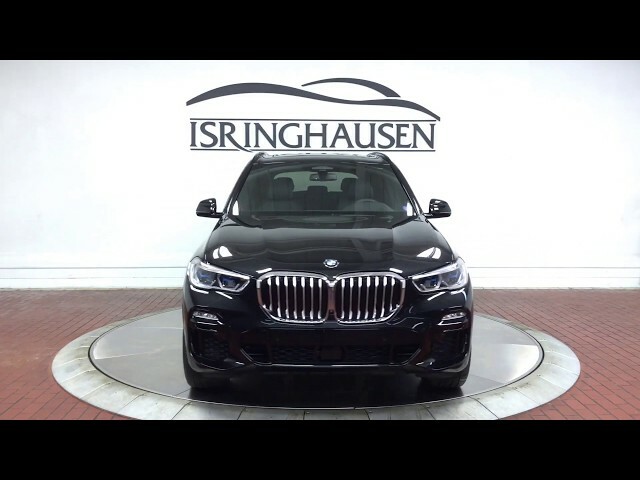 This all new redesigned 2019 BMW X5 xDrive50i comes loaded with features including M Sport Package, Luxury Seating Package, Extended Leather Interior, Premium Package, Driving Assistance Plus, Leather Dashboard, Heated Front/Rear Seats & Steering Wheel, Icon Adaptive LED Headlights, 20" Wheels and much more. The original Sports Activity Vehicle spans convenience, utility, and luxury, ushering in a new era of technology and performance. To learn more about this all new X5, please contact a BMW sales specialist today by calling 877-362-9715. Isringhausen Imports is Central Illinois' premier new car, used car and certified pre-owned (CPO) dealership for quality BMW, Porsche, Volvo and Mercedes-Benz vehicles. At Isringhausen Imports, we have become a leader in the industry by working each day towards the greater good of our customers, our fellow employees, and our community.